Fascinated by the Volga region: Interview with Sonja Luehrmann : Non-profit research based consulting "Sreda"
As part of the research contest for young scientists Faith and Religion in Contemporary Russia “Sreda” started a series of interviews with researchers who study religious aspects. 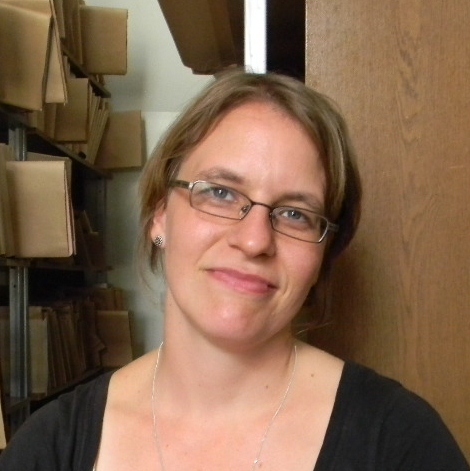 The following interview is with Sonja Luehrmann (Canada, Burnaby), expert in the anthropology of religion. Mrs. Luehrmann, why did you begin to study faith and religion? And why is Russia interesting to you? I received my MA in cultural anthropology at Johann Wolfgang Goethe University in Frankfurt, Germany, in 2000. Then I moved to the United States and received my PhD in Anthropology at History at University of Michigan, Ann Arbor. In between these two programs, I spent a year teaching German at Mari State University in Ioshkar-Ola, as a fellow of the Bosch Foundation. During that time I decided to shift my research interest to religion in this multi-ethnic and multi-religious area. I met many people who had either recently converted to a religious tradition or were wondering if they should do so. And I thought that it’s good to do research on something that people are passionate in talking about. My interest in Russia goes back to when I studied Russian in high school in Germany and participated in a student exchange, but the Volga region was new to me when I went there to teach. I like doing research in the Volga region because it is a part of the world where members of different religious communities have lived together for centuries, and people tend to be proud of this history. 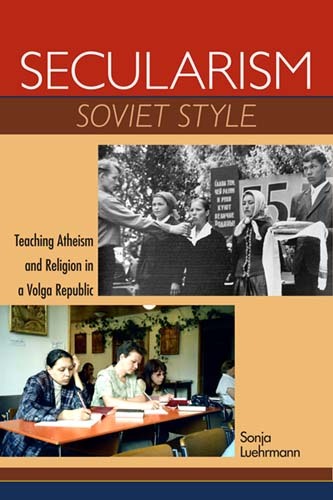 I have published a book based on my dissertation research in Marii El, Secularism Soviet Style: Teaching Atheism and Religion in a Volga Republic (Indiana University Press, 2011). Currently I am completing a book manuscript on the methodological and epistemological problem of using Soviet archival documents (with their militantly secularist perspective) to learn something about Soviet-era religious life. In current ethnographic research, I am studying anti-abortion activism in the Russian Orthodox Church. For the latter project, I have spent time at pregnancy consultation centers and sites of folk veneration in Saint Petersburg, Moscow, Kazan, Nizhnii Novgorod, and Kirov region. I am interested in the issue of abortion and demographic policy as an area where the church is trying to influence public moral sentiment, with varying degrees of success. What are the weaknesses and strengths of contemporary religious studies (ex. sociology or anthropology of religion)? I think it is a very exciting moment in the social scientific study of religion, because religion is becoming more visible in politics and social life at many places around the world and even scholars who never wanted to pay much attention to religion are forced to reconsider it as a worthy object of study. One danger I see is that sometimes scholars make up for past neglect by being approaching the topic with extreme reverence and with the assumptions that religious believers are completely different from secular people. In their effort to make a leap of faith and understand religious believers, sometimes the social scientists end up sounding more naïve than the practitioners of religion, who are usually very well aware of divisions, debates, and tensions within their communities. How do you distinguish a religious researcher from a non-believer? Are personal beliefs important and if so, what do they influence? I think it is ideal when a religious community is researched by its own adherents as well as outsiders, because they contribute different perspectives and have access to different aspects of community life. Most of all, it is important to keep in mind that there is often no clear-cut distinction between believers and non-believers. When a lapsed Catholic from the United States studies Catholicism in India, a practicing Jew studies Native American religiosity, a Protestant Christian studies relations between Copts and Muslims in Egypt, there is some measure of religious experience that flows into the researcher’s perspectives, but also the status of an outsider to the particular religious group under study. How can you describe the religious situation in Russia? Compared to the 1990s, I think that the religious situation has settled down – those who were looking for a religious affiliation have found it, those who have decided to remain secular remain secular, and the young generation seems as divided on the issue as those who came of age under socialism. Some of the fear regarding “non-traditional” religious groups has also calmed down as those groups are becoming more established. Different regions definitely differ on how closely state powers work together with one or more religious organizations, and the emerging role of faith-based NGOs doing social and medical work under contract with state ministries is certainly going to be interesting to observe in the future. What researchers influenced you \your interests? Whose studies are interesting to you? Can you name any Russian researchers whose research you consider interesting? I have great respect for many of my Russian colleagues, but I also confess to an admiration for the Soviet sociologists of the 1960s and 70s who pioneered empirical studies of religion in socialist society. Their work is often very reflective and required courage to carry out, and although many of them wrote from a convinced atheist perspective they are also animated by a very keenly articulated research puzzle: why had religion not disappeared? I am fascinated by the way that the secularist assumptions from which they started forced them into empirical engagement with actually existing religion. What research project would you like to carry out in future? I would love to conduct oral histories on multi-ethnic Soviet industrial or railroad settlements in the Volga region, looking at interethnic relations as well as religious persistence and religious creativity.